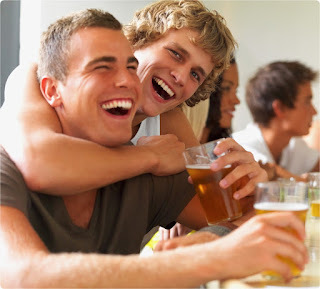 5 Tips on Creating The Best Stag Do, Ever! This time of year best men are all over the country are trying to create a stag do that the groom-to-be will absolutely love. You will probably know him better then the lady he is about to spend the rest of his life with, so with this knowledge go forth and create. If you need to discuss it with him, well it's a great excuse for a pint or three down the pub. As you know the stag really well you will know what he absolutely loves and despises. However, don't fall into the trap of thinking his mates will like what he loves. We're becoming a nation of Zombie lovers, i'll rephrase that, there is nothing we love to hate more than a repulsive looking Zombie. Whether it's on a Xbox game, box set or film there is nothing more satisfying then killing; good for nothing, flesh eating, dopey and repulsive looking Zombies. Here's an idea! Why not include this on your next stag do? You will be armed with paintball guns and dress up like a SWAT team from Boston, ready to hunt down and destroy Zombies*. This popular stag do activity is currently available in the Birmingham, Manchester, Reading and Edinburgh, I am pretty much sure more locations will spring up once more places get infected. 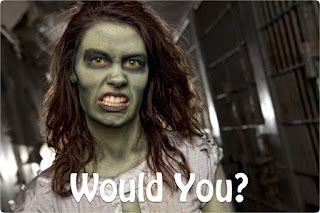 Here are some details on our Zombie pages where you can also book a day, package or event. Now just a warning killing Zombies isn't as cheap as other stag activities and the price is from £85.00 per person depending on which destination you go for.